` What Are Culverts and What if They Become Blocked? Home / What Are Culverts and What if They Become Blocked? Culverts are engineered channels which maintain water flow around or beneath infrastructure such as roads, bridges, or property access. They can be made from a variety of material such as re-enforced concrete, plastic or steel. Whichever type of culvert you might have, all types need regular maintenance to keep them in good working order. 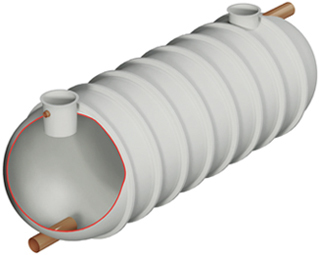 Culverts are a major part of the drainage system in the UK. It’s believed that there are tens of thousands in existence which maintain our water flow every day. Some recent problems have occurred whereby the age of a culvert has led to its decomposition and gradual erosion. Alongside increasing urban development, and climate change causing heavier rainfall and flooding, culvert structures can struggle to accommodate the flow of water. If the culvert is blocked, or even partially blocked, then the flow of water is restricted even further leading to over-spill. Local authorities, who grant permission for the construction of culverts, now discourage their use due to the issue they pose for flooding if not cleaned or maintained by the owner. Instead, they promote other water management solutions in their place, such as SuDS. However, this doesn’t change the fact that many are still used, and in some cases there is no viable alternative. Local authorities are now required to keep an asset register of all flooding assets in their borough, and to ensure that the owner maintains the asset. Some culverts will be on this register. It’s particularly likely if they are large or strategically important, or if they have the potential to cause flooding on roads, properties, or other areas of importance such as electricity substations. What happens if culverts become blocked? A blocked culvert can cause significant problems for the natural environment, such as the migration of fish or other aquatic life, as well as causing flooding on the built infrastructure. If a culvert becomes blocked then it will spill over and cause a flood. Many things can block culverts. Leaves and branches, especially in the autumn, can cause blockages very quickly. In larger culverts rubble or debris can cause an issue. Sometimes mud, silt or other natural detritus can build up over time. The problem can be exacerbated if the culvert’s entrance and exit is covered with a wire mesh, as then leaf-fall or general public waste has another area in which to get caught up. How do you clear a blocked culvert? If you have a culvert on your property or land, then you are classed as a riparian owner under the Land Drainage Act and thereby responsible for maintenance so that the culvert allows the free flow of water. 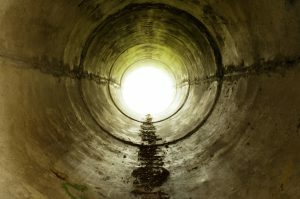 If you don’t maintain your culvert then the local authority may request you do so, or undertake to do it themselves and then re-charge you, which will be considerably more expensive than directly employing a professional yourself. Don’t underestimate the amount of year round rainfall in the UK, and the subsequent impact of your culvert flooding onto not only your own property, but your neighbour’s property, or even the roads. A compensation bill for flooding caused by your blocked culvert could be substantial. If managed properly with due care and attention, culverts can work efficiently and can cause few problems. To ensure you don’t get caught out, consider a pre-programmed maintenance plan which involves employing a reputable drainage contractor to undertake routine culvert cleaning and evaluation of your culvert before any flooding takes place, or the local authority imposes a notice on you.